I’m not sure where the taho originated but I’m guessing it’s somewhere in China, or at least a Chinese brought it here in the Philippines. After trying out the taho in SM Makati (with lotus root toppings! ), I got a hankering for some more of the silky goodness with the sweet stuff. Taho has been a part of my childhood. Growing up, I remember hearing the vendor’s voice two streets away as we rush to get some money and glasses for our hot taho being sold in the streets. Every weekend, we, more my brother than I, would indulge in this sweet (and healthy?) 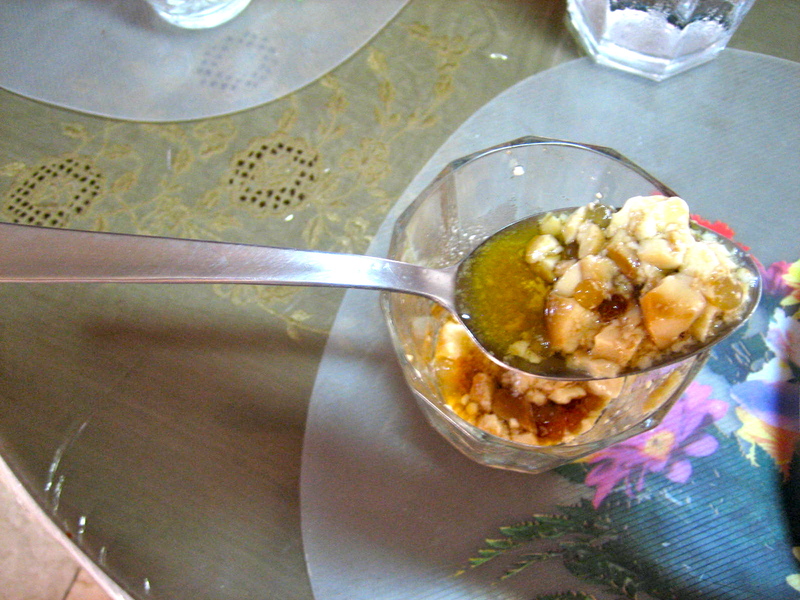 treat of soy custard, topped with arnibal (sugar syrup using muscovado) and some sago. I told ate Pines one weekend morning to call me when the vendor (yep, it’s still the same person more than ten years ago) of the taho passes by with his signature call of “Tahooooo” so I can buy some. I promptly forgot about it as we got ready to go out. When I got home, I discovered a container full of cold taho in our fridge! Ate Pines got us some!